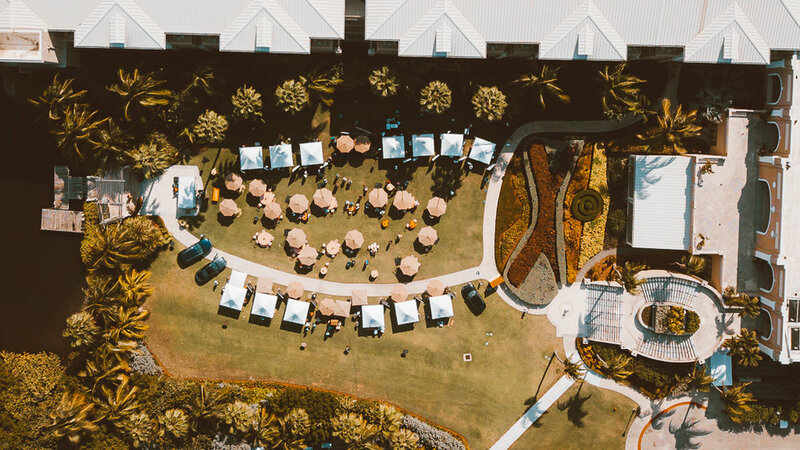 When you come to Cayman cookout you'll experience the world’s most talented chefs, culinary influencers, wine and spirit experts coming together at The Ritz-Carlton with a backdrop of beautiful seven mile beach. 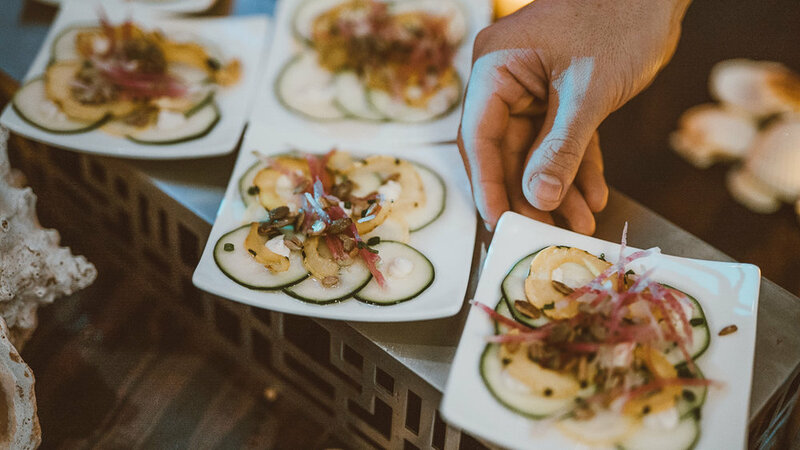 You'll meet world renowned chefs, hosted by Eric Ripert, José Andrés, Emeril Lagasse and too many others to name. 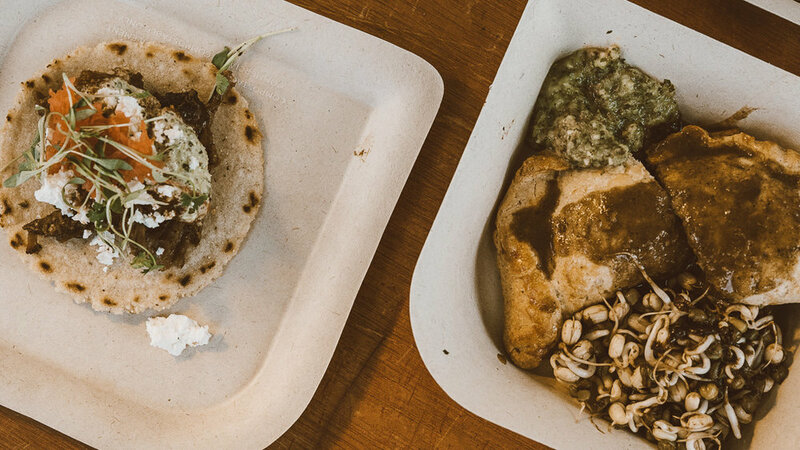 You'll experience extravagant tastings, demonstrations, tours and dinners — it's basically one amazing food encounter after another. I was invited to attend some of the events, the first was the Jacques Scott Wine Fair & Auction- a celebration of one of wine-making with a collection of wines and exquisite food from the international chefs. What's better, all the proceeds from the silent auction went to the Cayman Islands Cancer Society and The Ritz-Carlton, Culinary Arts Scholarship. Day two was one of my favourite days ever - a lunch with TV personality & chef, Andrew Zimmermen. He told us tales about his travels, explored the bizarre side of international and local flavors and mixed & mingled with the crowd. It’s an event for walking around a lot, eating, sipping cocktails or Caybrew and relaxing on the expansive great lawn. In the evening it was all about being barefoot on the beach under the stars at the BBQ at Royal Palms. 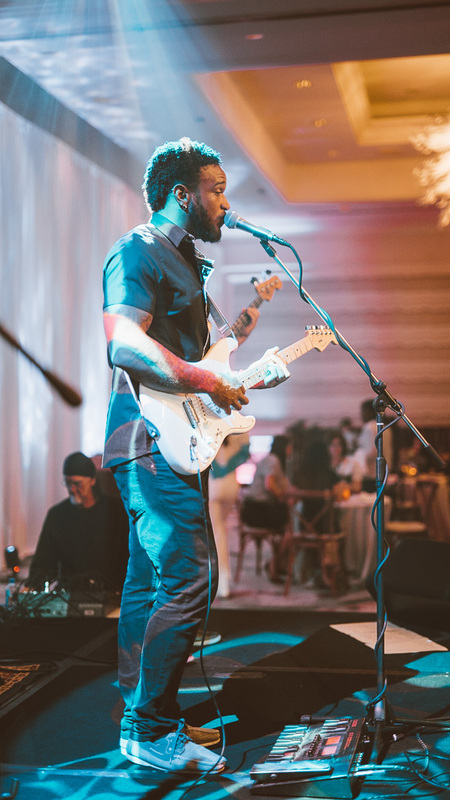 Here you'll experience amazing live music, sip on Moet & Chandon and taste sweet sweet creations by Chef Jean François Suteau, Jose Andres & Eric Ripert, you'll love it. I tried the shrimp - to die for. If you go to any event, one you simply can’t miss is the Rum Point Beach Bash. This year it was hosted by Al Roker from NBC at the gorgeous Rum Point. Arrive by boat or you take a scenic drive. 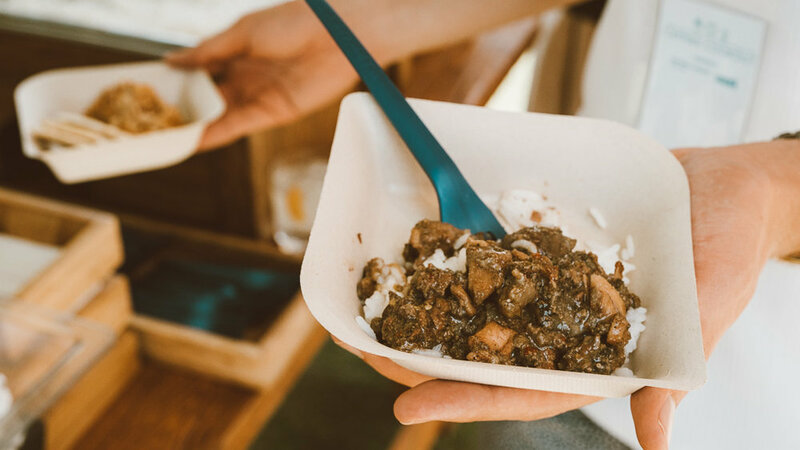 This is street food at its finest, and at rum point of all places with its shaded shores, colorful picnic tables, and soft-swaying hammocks. The Rum and Robusto event by the pool was incredible. After brunch, what better way to discover the flavours of the Caribbean than with a rum tasting & puffing on a Cayman Cigar. You'll taste locally-produced & world renowned rums, indulge your senses with “la vida Cubano” enjoy cigars, coffee and music that will get you dancing. Hang out with the chefs and toast to the good life.